*Christmas is nearing and we are celebrating the Advent season with a blog series exclusively for December! Four real moms will share four uniquely diverse ways to celebrate the birth of Jesus. Each woman is beautifully wise. Friends, you will be blessed by their hearts and their passions for Jesus. When I was growing up my family did Christmas the same every year. Same meal, same house, same sequence of events. It was entirely predictable in every way but it was ours, we all knew it and somehow the predictableness of it all helped build the anticipation of what was to come each year. The sameness made it special. If we look to scripture I think we will notice the principle of tradition again and again. Our God is a God of repetition. He is a God of feasts and festivals. He instructed His people to do things the same year after year to properly remember what He had done for them. The traditions we find throughout both the Old and New Testaments (everything from passover to communion) are defining factors to an entire culture of people. Now some of those traditions help draw believers together as one body, His church, and aid us in marking our identity in Him. Much in the same way, our yearly traditions, whether they are Christmas-related or for any other time of the year, are things that help define our individual family’s cultures. Our traditions help us identify with each other, create our own little tribes and are great factors in what our children come to rely on. Traditions, whether largely spiritual or not, play a huge role in what will draw our kids back home year after year once they are grown and gone. What I bring to you today is not a guilt trip or a call to perfect the most Pinterest-worthy holiday. Traditions are not the end-all. I also don’t mean to imply that traditions can’t evolve or change over time or that everything about the holidays has to center around them. In fact, today I want to free you from the excess and help you get down to the things about the season that are really the most meaningful and valuable to your individual family. I want to help you focus on the things that your family will truly remember and hold dear. So, how do you figure out what those things are? Well, I think identifying what matters to our families boils down to a few of simple questions. 1) What are the things that your kids (and husband- don’t forget him!) are counting on? Ask them. First of all, ask your family what they love about this time of year. Yup, it’s as simple as that! What stands out in their minds about this season that makes it feel like Christmas for them? You will probably discover that there are only a couple of things they truly associate and long for at Christmas and it will likely remove a lot of stress off your shoulders. When I did this it really helped me realize that my kids aren’t wishing our house was more Pinterest-perfect. What they are counting on this season is decorating Christmas cookies and gingerbread houses as a family, watching Christmas movies with hot chocolate and looking at Christmas lights. I can do that! That doesn’t feel overwhelming to me and that is fabulous in my book! 2) What fills YOU up? When I was originally grappling with what I would attempt to take on this season, I used only the above questioning- what did my kids hold dear about this season? However, as I was talking about it with a friend she reminded me that I was leaving out a key component- what is special to me about this season? As it turns out, I have my own expectations of the holidays and things I look forward to every year. There are a few things that didn’t make it on my kids’ lists but are my own personal traditions that help fill me with the Christmas spirit and those things should not be denied. When it comes right down to it, we are better able to facilitate our children’s Christmases if we ourselves are feeling filled up during this season. So, don’t abandon those particular ways you decorate, or specific foods you make and adore, or candles you love to light each evening just because they didn’t make your kids’ lists. Identify what matters to you and make time for it this season as well. 3) Is there room for more? If after asking those questions you have been able to hone down your Christmas expectations list and are feeling less overwhelmed, you may find that there is more margin to add in one or two new traditions to your list. We have this amazing opportunity as mothers to intentionally craft the atmosphere of our homes and pieces of our children’s childhoods, so let’s take advantage of that opportunity, within reason. Maybe you haven’t been the most consistent celebrator of advent in the past and you want to add in a simple way of making that a tradition in your home. My family is greatly enjoying the book Jotham’s Journey by Arnold Ytreeide (http://amzn.to/1m1zHIL) and it has allowed us to keep up with advent in ways that have eluded us in the past. Or maybe you want to make a new ornament for your tree each year, or participate in a giving tree project. Whatever you add in doesn’t have to be elaborate or staged for a photo-op, it just has to be real and heartfelt. Your traditions should add to the overall joy of the season, not usher in stress and frustration. This is the perfect time of year to not only make new memories but solidify the old ones by reminiscing about Christmases past and truly cultivate a lovely holiday season that is specific to your family. So don’t get caught up in the crazy of what modern-day Christmas has become to so many. Boil down your holiday to what really matters to your family and contributes to the sense of family culture you want them all to remember. Above all, make Jesus the center and have a very merry Christmas. MacKenzie Monroe is a wife, homeschooling mom of four, and all around crunchy-living gal with a good dose of normal. 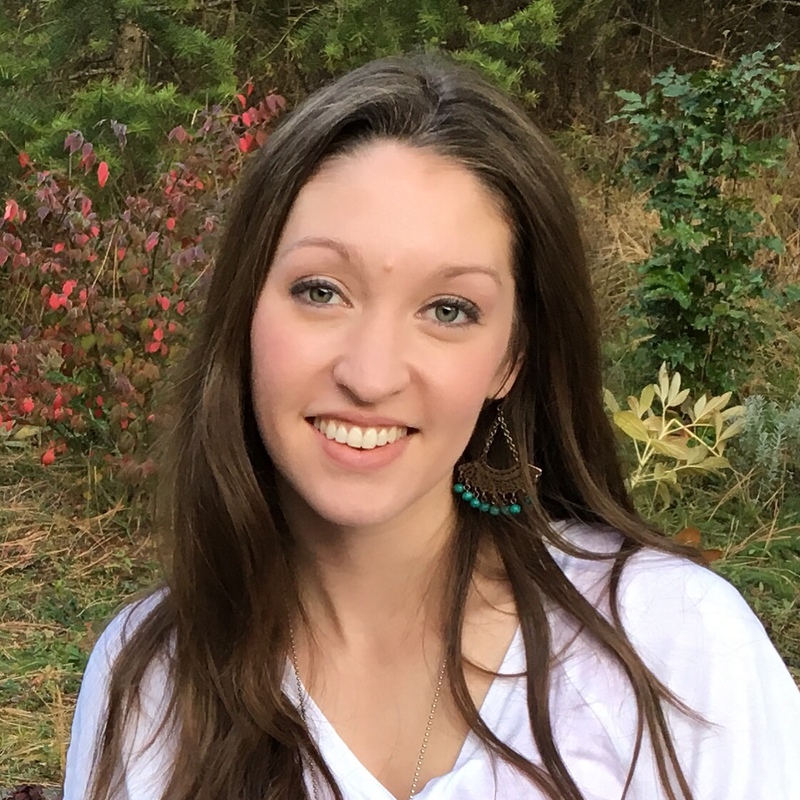 She and her family live on a small farm in the Pacific Northwest from which she hosts a daily morning show on Periscope called The Cultivating the Lovely Show and a podcast called Cultivating the Lovely- The Podcast. She believes in good food, great fun, lots of humor and the removal of smoke-screens from online personalities. In other words, she is all about being real and in the trenches with her lovely little community. You can find her online at BoldTurquoise.com and @boldturquoise across all social media. I completely agree, Stacy! I value MacKenzie’s advice here, because I so rarely remember to ask my family which parts are truly special to them. I get so busy making everything just right in December, that this simple idea of “asking them” goes under my radar completely! MacKenzie’s so wise, am I right?! Merry Christmas, Stacy! 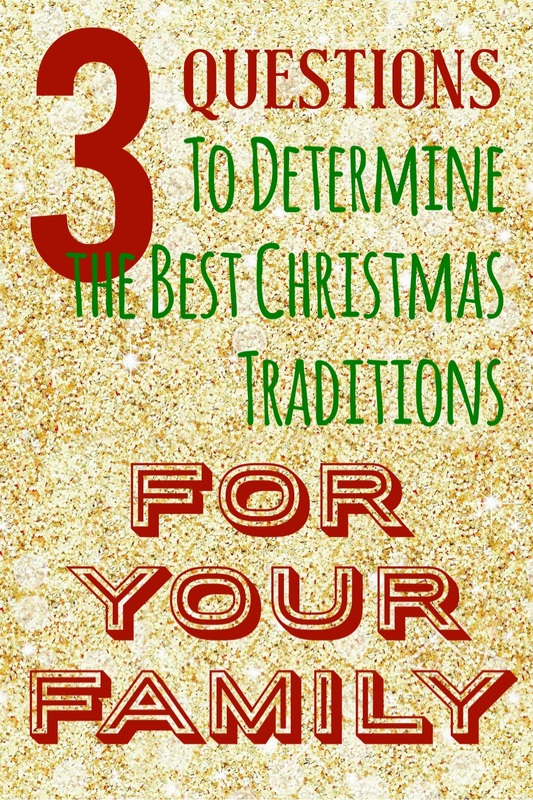 Mackenzie, thanks for this great post about how to create a Christmas season full of intentional traditions while maintaining our sanity! We all talked about our favorite traditions this year, and it has really helped prioritize our plans and create a memorable season celebrating Christ’s birth.